Download Call for Submissions here. 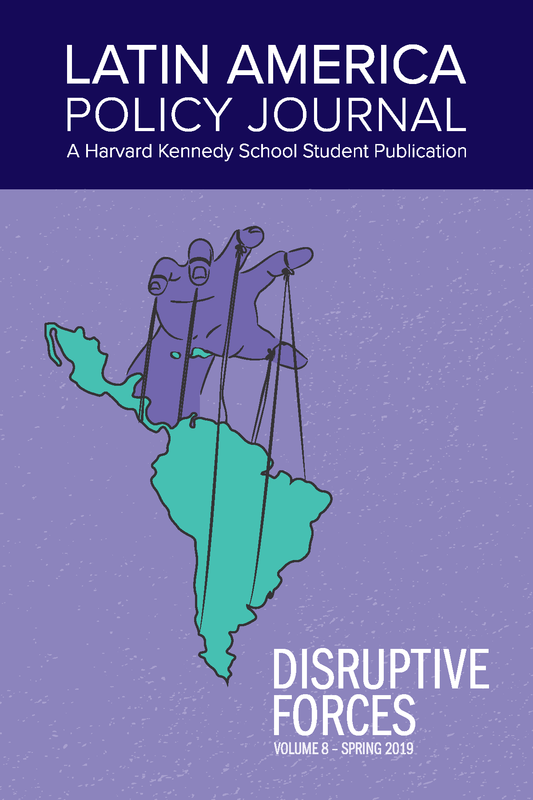 The Latin America Policy Journal (LAPJ) is a student-led publication at the Harvard John F. Kennedy School of Government (HKS) that brings together students, faculty members, policymakers, and practitioners, who share their views on the most pressing problems of the Americas. Discussion topics come from a variety of areas such as policy, economics, culture, development, politics, foreign affairs, among others. The LAPJ intends to start a spirited conversation between the Harvard community and key stakeholders in the region. We invite students to use the Journal as a window to express their opinions, advocate for their ideals, and learn from new and different perspectives. Venezuela after Maduro: When, How and Who? Note: the list above aims at providing some guidelines, it is non compulsory. So feel free to submit your proposal even if the subject of study doesn’t fit in any of these categories. Citations: use endnotes. Chicago Manual Style 17th Edition (full note). Draft an Email with the subject “LAPJ: Article Proposal – [Your Name]”. Include your full name, professional headshot, and contact details in the Email’s body. Please submit all the documents above mentioned to lapj@hks.harvard.edu by December 10, 2018 (Round 1) or January 13, 2019 (Round 2).